NEW BEDFORD, Mass. — Southcoast Health announced today that its volunteer program has been certified by Points of Light as a Service Enterprise, which is an organization that fundamentally leverages volunteers and their skills to successfully deliver on its social mission. Research conducted by the TCC Group, a national program and evaluation firm, found that organizations operating as Service Enterprises outperform peer organizations on all aspects of organizational effectiveness and are more adaptable, sustainable and capable of scaling their work. 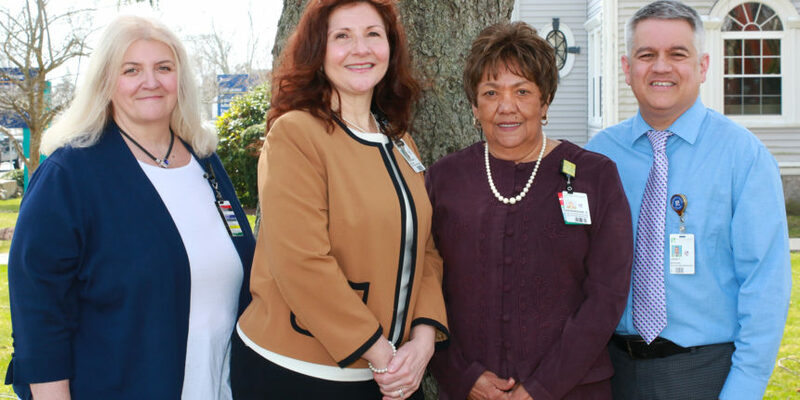 Charlton Memorial Hospital, St. Luke’s Hospital, Tobey Hospital and Southcoast VNA completed the extensive assessment, over 20 hours of training and consulting, and internal planning and modifications to better integrate volunteers in day-to-day operations. By achieving this level of excellence and certification, Southcoast Health is now better equipped to leverage the time and talent of volunteers and therefore better meet its mission. National Volunteer Week is being celebrated this week, April 23 to April 29. In 2016, more than 500 volunteers at Southcoast Health donated in excess of 60,000 hours of their time. Dedicated volunteers provide service at gift shops, information desks, surgery centers, Level 2 nurseries, Pastoral Care and Emergency Departments. They also provide respite support for patients and families, serve as greeters, wayfinders and so much more. To learn more about volunteering at Southcoast Health, visit southcoast.org. To become a volunteer, call 508-973-7038 for Charlton Memorial, 508-973-5274 for St. Luke’s, 508-273-4102 for Tobey, or 508-973-3219 for Southcoast VNA.